What’s behind this year’s menswear reissues? 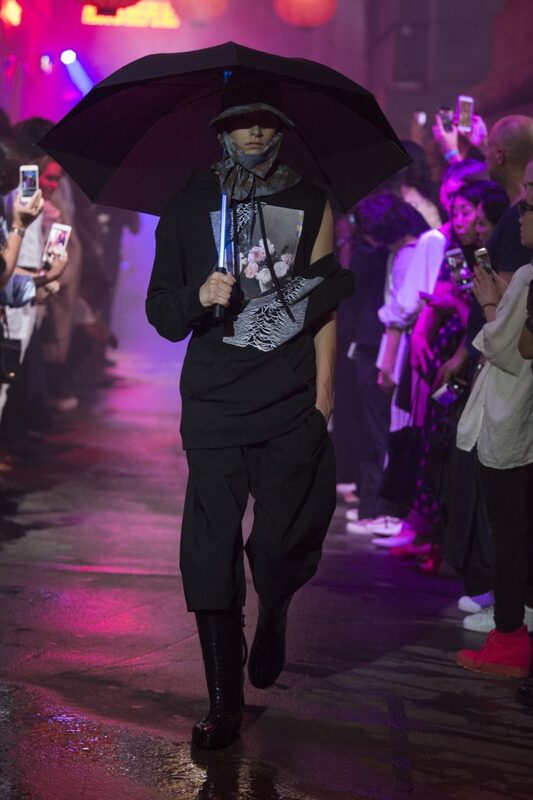 This past summer Raf Simons held a show in New York City’s Chinatown that was ostensibly based on the movie Blade Runner. The presentation had plenty of Runner-esque elements; the darkness, the wetness of the film were reflected in the umbrellas and the raincoats that Simons showed. But there was one element in the collection that made no sense at all – the New Order and Joy Division graphics that Simons used throughout the show have nothing to do with Ridley Scott’s iconic sci-fi film, at least I could discern no connection there. Simons showed the same graphics by Peter Saville, whom he is friends with, that he showed in his seminal Fall/Winter 2003 collection, “Closer, “ named after a Joy Divison album. Then in September, to coincide with the New York fashion week, Helmut Lang, the brand that has been thoroughly degraded after the designer’s exit and is now grasping for straws in order to find identity, reissued fifteen iconic pieces of Lang’s designs. These were pretty straightforward copies of the Lang originals and are still sold on the Helmut Lang website. Later that month Ralph Lauren re-released complete copies of its 1992 Polo “Stadium” collection, twelve styles in total. Everything, of course, was limited edition, accompanied with the de rigueur media hype. Behind these seemingly disparate events lies something bigger than the mere spirit of nostalgia. Nostalgia is all fine and dandy, and we often love going back to our formative years – it’s lovely and quite innocent in the realm of fashion, unlike say in the realm of history or politics. What unites the three examples above is that all of the originals now fetch hefty prices on the secondary market. A Raf Simons parka with the New Order graphic from 2003 can fetch a seller anywhere between $10,000 and $20,000. Old Helmut Lang bombers and biker jackets go in the thousands, and so do the pieces from the Polo’s Stadium collection. 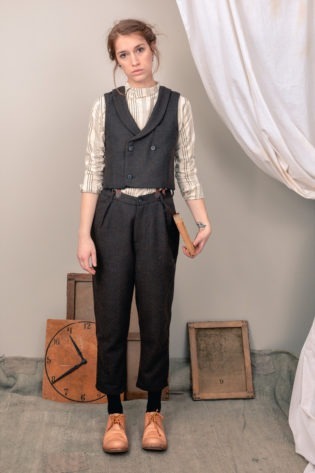 Men have always collected fashion (as have women, obviously), but it used to be a more introspective endeavor. The resale market hardly existed outside of the local consignment shops until eBay came about. And then there was a confluence of occurrences. Rappers like Kanye West and ASAP Rocky started wearing vintage Raf and Helmut, and bragging about it on their social media channels. The fashion media quickly caught on and fanned the hype flames even more. 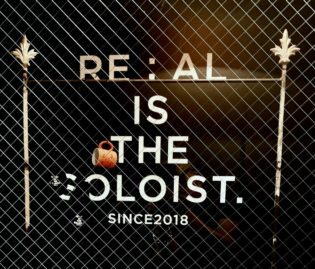 Shortly thereafter, the secondary market has been kicked into hyper-gear by Grailed, a reseller website that is more tailored to clothing collectors and resellers. All of a sudden men of my age started digging in the back of their closets, dusting off their old Raf and Helmut and whatever else could bring a buck. And the buyers weren’t really nostalgic – most of them are millenials who were merely children when this stuff was released. As Dr. Valerie Steele, the fashion historian and the director of Museum at FIT, pointed out to Business of Fashion, “Not a lot of people know much about the history of the past, but they do know about images.” Earlier this year, a young kid contacted me because he saw a picture of me wearing a Raf Simons sweater from Fall/Winter 2002. He offered me $2,000 for a sweater I’ve worn for fifteen years and that I bought at a deep discount at Barneys when they couldn’t give it away. And, if you want to know what happened, I sold it. He was so enthusiastic and I needed money for a trip to Japan. 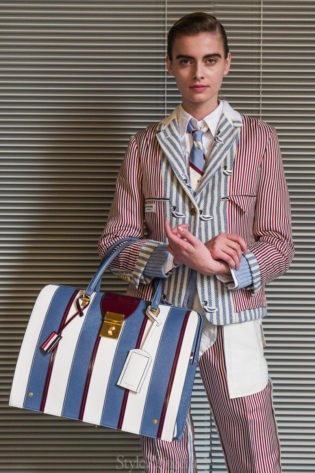 Since information travels fast these days, it also reaches the upper echelons of fashion sooner. This seems to be the year the light bulb went on. One hates to be uncharitable, especially to a talented designer like Simons, who did try to present Peter Saville’s graphics in a new light (including putting them on the lanterns that lit the runway), but all of this looks like a cash grab more than anything else. Of course, if resellers can make a handsome profit, why shouldn’t the designers? It would seem that I should have no qualms with that, but I just cannot get rid of the bad taste in my mouth. There is something cheap about it, a lack of effort perhaps. It’s too easy to reissue than to make something genuinely new. Perhaps this, like the crap river of collaborations and limited editions tweaks, bespeaks the general lack of creative energy in contemporary fashion. That lack of effort also extends to the collector. To be sure, the same forces of social media that supercharged hype, have also turbocharged one’s megaphone of bragging rights. It used to feel good when once in a blue moon someone would flag me down on the street to acknowledge what I was wearing (one time it was a former Helmut Lang employee who’s been with the company for many years during Helmut’s tenure. We ended up getting drinks.). Maybe it feels a hundred times better to post a fit to Instagram and get a hundred likes. But, with the reissues it may very well be possible that whatever bragging rights you had by owning the original are now gone. Who can now tell if that “COWBOY” tee is original or not? And, anyway, if you weren’t there to buy it when it came out, that means you weren’t there to recognize that fashion zeitgeist moment. You came to it with hindsight, and what’s so interesting about that? Again, I am ambivalent on the subject of reissues. There are certainly pieces that I did not have money to buy ten-fifteen years ago that I’d be happy to have now, perhaps in an updated silhouette. 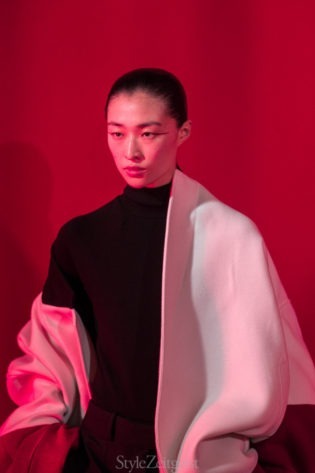 I like the way Ann Demeulemeester brings reissues old designs in Collection Blanche for women and Gris for men, instead of doing a pre-collection. I suppose I don’t really mind Simons reissuing the New Order/Joy Division stuff, but I won’t be buying any of it. Perhaps it would’ve been better if it was done in another context, such as an anniversary, the way Jun Takahashi did it at Undercover two years ago, when he produced a collection of greatest menswear hits. Or maybe it was better off remaining an inimitable fashion moment.